Order processing is most efficient when manual touch points are minimized. But when orders come in by fax or email, what’s the best way to handle them? 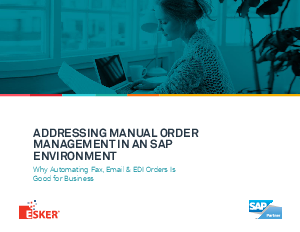 Read our eBook, Addressing Manual Order Management, to learn how 100% electronic order processing can be achieved via one universal automation platform.